I recently wrapped up my annual event Purpose, Profit and Passion. The event focused on women living on purpose, with passion and creating, starting, or growing a profitable business. For the second year in a row, the event was well received and I received sooo much feedback and encouragement to continue to do it again in 2017. 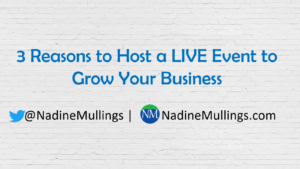 As I mentioned in my blog post, This ONE Marketing Strategy can GROW your business by leaps and bounds, hosting business events can be a really great marketing strategy. It can help you create brand awareness, promote your business, and become more visible in your community. As a business owner, coach or consultant, you probably know the importance of MARKETING your business in order to GROW your business. However, there are 1,001 ways to market your business, so how do you know what will work BEST for your business without wasting a lot of time and money? 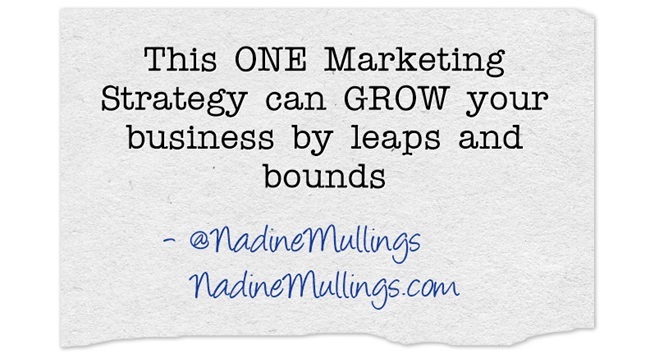 I’ve mentioned in several of my blog posts that having consistent events for your business is a great marketing strategy. Events give people an opportunity to learn more about you, more about the business, and more about your product or service. Over the last decade or so, Virtual Events have become very popular. I define virtual events as any type of event that does not take place in person. Tele-Seminars– Tele-Seminars have become very popular because they are easy to execute. All you need is a telephone and a conference line, and you will be able to conduct an event over the phone. Many companies are using this strategy to introduce prospects to their business, product, service, program, etc. Although teleseminars are a great strategy, the down side is the lack of visuals. A company has to rely solely on audio and many people need to see visuals. That is why most tele-seminars encourage listeners to go to a website to get more information and to sign-up. Webinars- Similar to tele-seminars, webinars have become super popular with the increased popularity of the use of the Internet. Webinars are seminars conducted via the web and participants are able to both hear the speakers and see the visuals. Webinars are also very easy to put together, all you need to do is use a webinar software that either has VOIP (Voice over Internet Protocol) or you can also use a conference line for people to be able to hear the webinar. Including a consistent webinar in your marketing strategy can be helpful to growing your business. Videos– Videos are a great way to conduct virtual events. Whether it’s a demo video, interview video, etc. videos allow you to create events and post them online to create a virtual event. You can pre-record the video or stream it live. Livecasts– Livecasts have also become popular because you are able to actually conduct a live training or seminar which includes a live audience and then stream it over the Internet so that it can be viewed by others online. This strategy is not totally virtual seeing that you may or may not have a live audience when taping the livecast. Livestreams– Similar to Livecasts, Livestreams are not totally virtual because a live stream usually occurs during an actual in-person event like a conference or seminar. The added ability to record it live and have people view the event via the Internet makes the Livestream a virtual event. 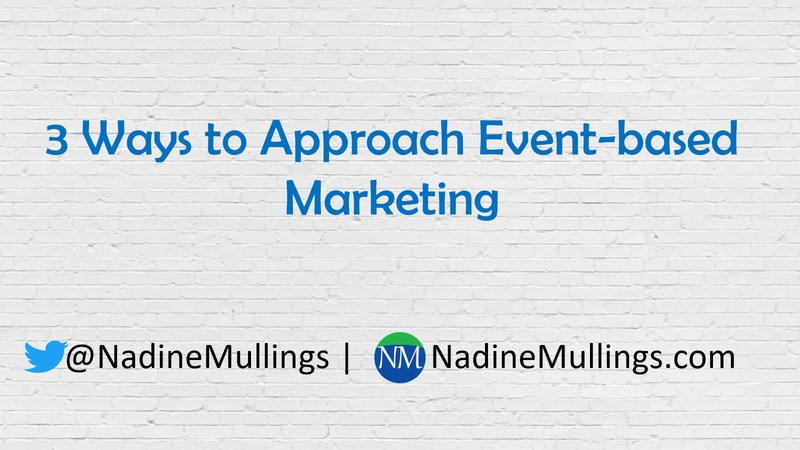 Are you including events in your marketing strategy? 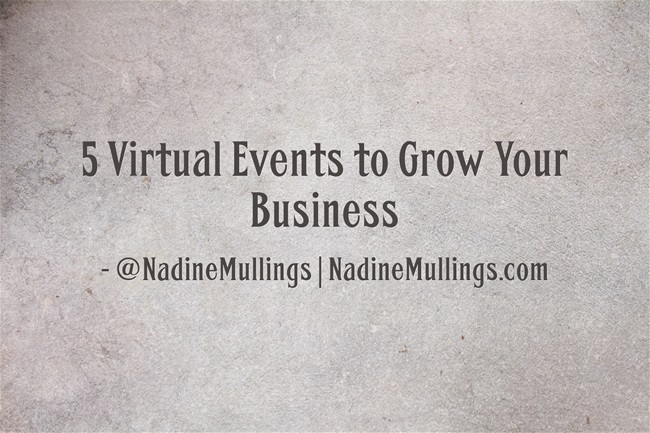 If so, are you also using Virtual Events to grow your business? 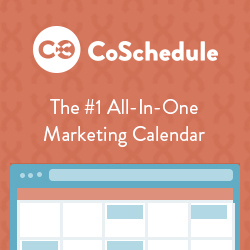 Having consistent events for your business is a great marketing strategy. Events are a great way for people to get to know you, like you, and trust you, which we all know is the key to getting more business. However, putting on events is not always an easy task. 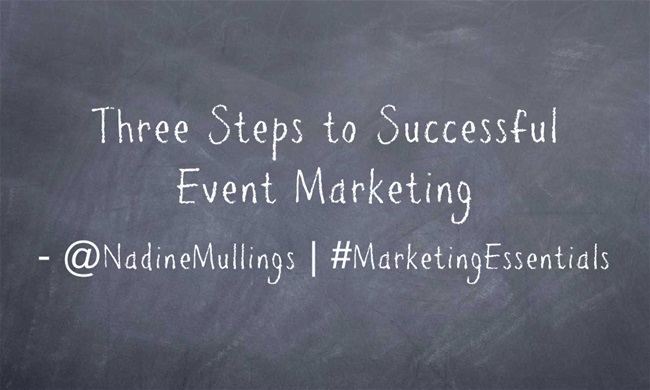 The hardest thing about events is getting people to attend, so this article goes through the 3 steps to successfully market your next event. Audience– who is the event intended for? Just like all marketing strategies, the first step is to understand who you are trying to reach which includes the usual demographics and the even more important psychographics of your audience. The demographics covers the age, gender, income level, etc. while the psychographics is going to cover lifestyle, beliefs, attitudes, etc. Purpose– What is the goal of the event? Is the event mainly to get your name and brand out there so you can create brand awareness, is it to get sales, is it to grow your prospect list, is it to show appreciate to your customers, is it to educate the market on your industry, etc. There are so many reasons to have an event, and it is important that you are clear on the specific reason you are having the event. Promotion– How are you going to get the word out about your event? Are you going to use traditional advertising channels like radio, TV, newspaper, etc., or are you going to use new media like social media, blogs, email, etc., or a combination of both forms of media? List all the ways you are going to promote the event and how often you are going promote it up until the day of the event. Budget– It is important to establish a budget for the event. How much are you willing to spend on the promotion of the event and the actual event itself? No matter how big or small of an event you are planning, it is important for you to set an overall budget for the event. Live Stream– This has become popular for larger events. With the technology available to be able to broadcast the event around the world, many people are offering free or paid live streams for people to be able to have access to the event virtually. This helps to amplify your event goal, because not only will you be reaching the people who attend your event in person, but you can also reach people anywhere in the world. It goes back to the purpose of your event. 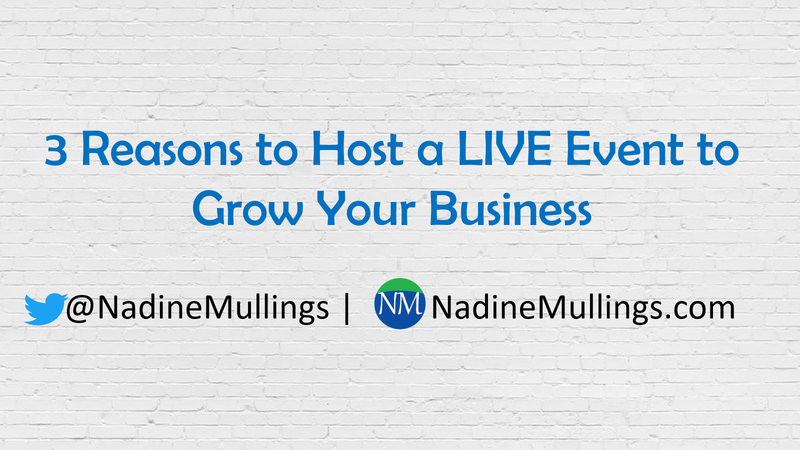 If a live stream will help you reach your overall goal and it is in your event budget, then it may be something to consider. Social Media– Social Media and Social Networks like Twitter and Instagram are great to promote not only before the event, but also during the event because it is a way for people who are at the event to connect, and also people who are not at the event to get some of the information presented, and to see some of the activity. The best way to be effective on social networks is to create a specific hashtag (#) that can be used throughout the event. This allows for easy grouping and visibility on the network when it comes to conversations and pictures about the event. Again it is another way to amplify the event to other people who may not be in attendance. The marketing of the event does not end after the event. Depending on how often you will be having the event or having other events for your business, the end of the event is a great way to market the next event. Sign-ups– Be sure to promote the next event, and whenever possible even encourage individuals to sign-up for the next event on the spot. 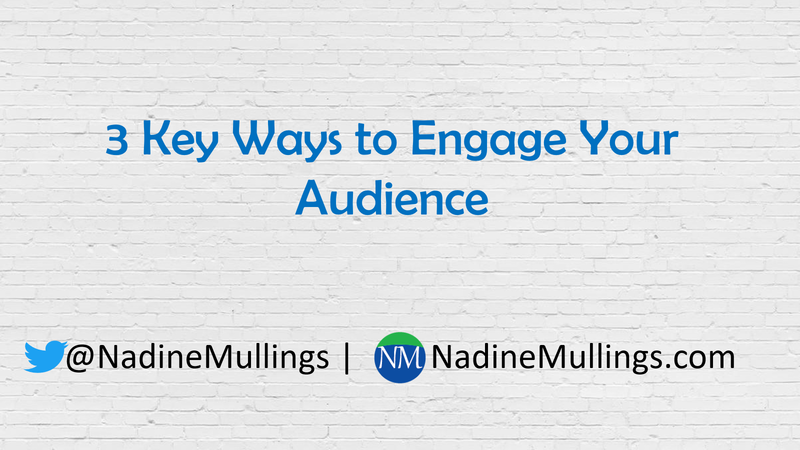 That helps you to secure your audience for your next event. Appreciation– Showing your attendees that you appreciated their attendance is also a great post-event activity. This could be in the form of an email or a thank you card. Depending on the size and scope of your event, you would need to decide what is the most appropriate way for you to show your attendees appreciation. Do you have consistent events to promote your business? If so, what do you include in your pre-event, during event, and post event planning? It is a fact that one of the best ways to grow your business is by building the relationship that you have with your current customers. Most small businesses overlook this fact and concentrate on new customers and new business, but don’t neglect your existing customers because they can really help you grow your business. 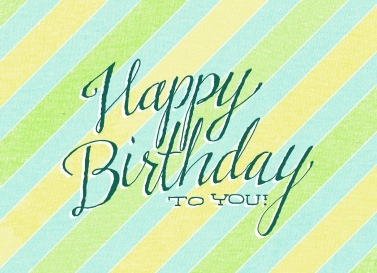 Send your customers a birthday card. Yes, I am talking the old fashioned in the snail mail birthday card. 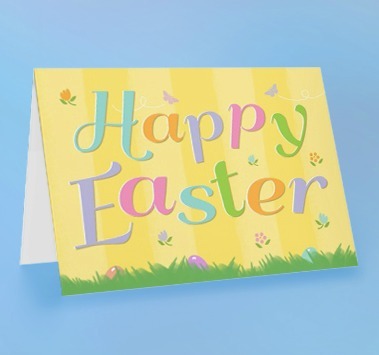 Now a days, so few people take the time to send family, friends and customers physical cards that it would be a welcome surprise for your customer to receive a card from you. Depending on the size of your customer database, this could be an expensive undertaking, so I suggest if you cannot send a birthday card to every customer, make sure that you send one to your most loyal and repeat customers. It’s a great way to show that you care about your customers, and it’s a great opportunity to add a special offer for additional products or services. I get a birthday card and a $10 off gift card from a popular women’s apparel store every year, and most of the time I go in the store to use my gift card. I am pretty sure this strategy is working for this retail store because I continue to get a card every year. Send your customers an anniversary card. You should have the date that your client started using your services on file, so wouldn’t it be great if you sent an anniversary card close to the anniversary date? It is a great way to stay top of mind, and to stand out in your client’s mind. An auto dealership used this strategy and sent out anniversary cards to all customers who had purchased a vehicle from the dealership each month. The card included a discount to use their auto parts & service department. It was a great way to strengthen the relationship with the customer and get them to come in for additional services. 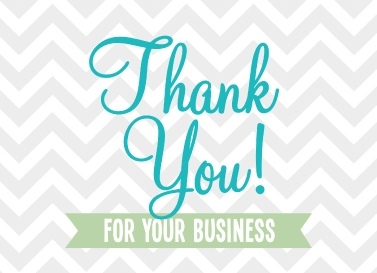 Send your customer a “Thank You for Your Business” card. Whenever you close a deal or get a new account, it is the start of a new business relationship. Why not show your customers how much you appreciate this new relationship and send a thank you for your business card. You will be surprised how this can make you stand out as a business and strengthen the new business relationship. Paying attention to the little details also makes customers more encouraged to send referral business to you because they know you will treat the person who they refer with as much care as you have treated them. Send your potential customer a “Thank You for Your Time” card. Sometimes you may not get the business on the first appointment. That’s why it is important to follow-up with the prospect with a card thanking her for her time. This will allow you to stand out and when the customer is ready to make a purchase because you took this additional step, your chances of being the one to get the business is much higher. Send your customers holiday cards. Whether it is one of the popular holidays like Christmas, Hanukkah, New Years, Independence Day, or one of those less popular holidays like President’s Day, St Patrick’s Day, etc. take the time to send your customers a holiday card for the holidays that you feel would be appropriate. I know I have said this before, but people just don’t get a lot of cards anymore, so receiving a card from your company on a special holiday can really make your company shine! Send a customer a life milestone card. Sometimes you may know of a special event that occurred in your customer’s life, like the birth of a grandchild, or the graduation of a child, or an engagement or marriage. Whatever the special occasion may be, sending a nice card to your customer to recognize the milestone is great way to build the business relationship and for you to stand out as someone who cares about your customers. Send your customers a special invitation to an upcoming promotional event. Having consistent events to promote your business is always a smart thing to do, but making sure you send a special invitation to your VIPs, loyal, or repeat customers is sometimes overlooked. Receiving an email about an event can sometimes get lost in the shuffle, so sending an invitation via the mail can help your event to stand out and will keep your company and the event top of mind for your customers. You will notice that the common element for each one of these tips is to send a card! A great system to use to automate the sending of cards and gifts for your clients is SendOutCards. SendOutCards is an online system that allows you to select a card, customize the card, add the contact information for the recipient or upload a list of contacts, and hit send. The card will then be printed, stuffed, and mailed to the recipient(s) all by the click of your mouse. In addition, you’re able to keep track of all the cards and gifts that you send because the system keeps a record of everything for you. For more information go to www.SendOutCards.com If you decide that you want to use the system to send your cards and gifts, you can use id#155454 to join. 1. Start a Meetup specifically for your target market. Once you know your target market, it is easy to start a group that caters to your target market. Your goal is to create a community of individuals who are in your target market and provide them with valuable information and fun events. The goal of the Meetup should never be to sell your product or service, but to offer some value to your community and in turn that should lead to business for you. Tip: Make sure the name of the group and/or the description of your group is very clear so that you are attracting the right people to join your Meetup group. Adding the specific area (i.e. Women Business Owners of Atlanta, Foodies in Chicago, etc.) gives the feel of a large group designed specifically for the people in that area. 2. Create more than one Meetup Group. Meetup allows you to create up to three Meetup groups for one quarterly fee. As of now, the quarterly fee is just $45/per quarter, which amounts to $15/month. If you have three Meetup groups that amounts to just $5/month per Meetup group and you can create very specific niches of your target market and tailor your meetups to this specific niche (i.e. women who are vegetarians, men who are in finance, etc.). 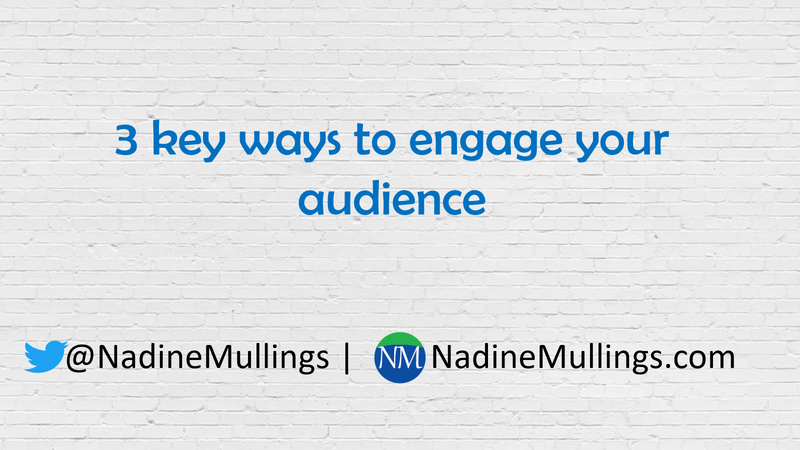 The more specific your niche the more specific you can make your Meetup, but keep in mind a broad category will attract more people and a specific category will attract a smaller group. 3. Have consistent Meetups for your Group. The most effective Meetup groups I have seen have been groups that have consistent events that are planned out well in advance. For example having a meetup every first Monday of the month or every other Tuesday, helps to show that your group is consistent in the events that they offer. Even being consistent with the type of event you are having can help to build up your Meetup having a monthly or bi-weekly outing, breakfast, luncheon, workshop, networking, etc. 4. Create a leadership team. It always helps if more than one person is assisting with the organizing of the group and running of the Meetups, so having a co-organizer or other members of the Meetup as your Leadership team is very helpful. 5. List your business as a sponsor of your Meetup Group. This is nice subtle way to put your business name out to the group without feeling like you are hard selling your products or services, you can even offer a discount to individuals from the Meetup who decide to purchase your products or services. Have you created a meetup group to help grow your business? If so, share what has or hasn’t been working for your meetup group.